Now THIS is how you start a book. 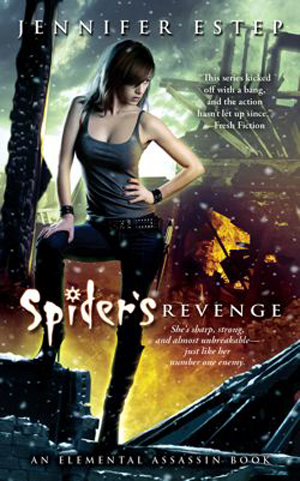 I don’t know how I was expecting Spider’s Revenge by Jennifer Estep to start off, but it wasn’t like this. To tell you the truth, I was expecting somewhat of a predictable path while reading this fifth book in Jennifer’s Elemental Assassin series. That is, after all, what happened in the previous four books. Normally, we meet the villain of that particular tale, we see evil things happening by bad people, then Gin goes in and kills said villain ultimately saving the day. I actually enjoyed how it always played out in the previous books so I didn’t mind that that is what was going to happen in this book. Boy, was I wrong about that. Spider’s Revenge starts with a bang and doesn’t end. Twist after twist after twist until the very last twist…then bam! The end. Is it still a predictable story? Yes. Did that make it any less enjoyable? Not at all. The ride in this book is finding out HOW it’ll all play out, not IF it will. Also, Urban Fantasy stories tend to make you want to punch something. Not a bad thing. 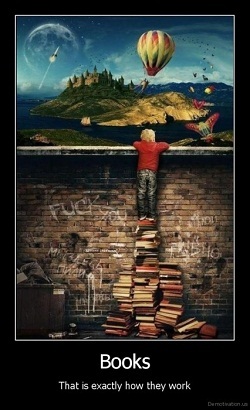 It’s what makes us want to keep reading. But sometimes it’s nice to know that there will be a bit of closure at the end of each UF book and not just after book 7, or worst book 27! Gin grows in this book and I liked what I saw. Bria and Finn and Owen are all there too, as are Jo-Jo and Sophia. I love them. Heck, I love them all! These characters are what make this series for me. And is Owen ever perfect for Gin! I couldn’t have asked for a better match for our girl. The repetition that I usually find bothersome in this series wasn’t as bad this time around. There are still things that the author says repeatedly that I find unnecessary, but overall, the flow of the words was better for me. Now on to book six where Bria, Gin, Finn and Owen go on vacation together. I love Bria with Finn and I love love love Gin with Owen. I can’t wait to see them all together in a more ‘relaxed’ setting. Although I’m sure if Jennifer has anything to say about it, it won’t stay relaxing for long. 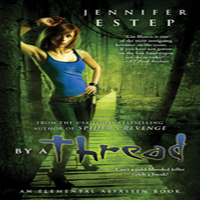 By a Thread is scheduled for release February 28th 2012. As for Spider’s Revenge, THIS is how you should end a story arc. We come full circle and it works really well. I found myself smiling real wide when I reached the end because it really did end nicely. There were no huge unanswered questions, yet just enough open ends to keep things interesting in future installments. I am very much looking forward to meeting up with these wonderful characters once again. “Finn and Bria didn’t look at me or each other. ‘Then Gin’s just going to have to deal with it,’ Finn cut her off. Bria stared at him in surprise. 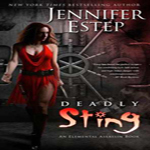 Share the post "Review: Spider’s Revenge by Jennifer Estep (Elemental Assassin #5)"
Everyone seems to like these books and I am still meh, poor little me. Great review. I couldn’t have said it better. I have to admit that I read your review of Tangled Threads when you posted it and now that you pointed out those writerly ticks and repeating she does, I noticed it a lot in Spiders Revenge. “Gin Joint” was used a lot and so was the phrase “and then we danced.” In a way I am glad that she reminds us the details but it was a little too much sometimes. I wonder if that will change in the upcoming books because it is the end of this arc of story line. Either way, I will read every book she releases in this series (unless it goes crazy off track *cough* Anita Blake *cough*) because I love it! I really enjoyed this as well! Though I thought the “mistake” Finn and Bria made was a bit out of character given the circumstances. Gin is one of my favorite UF heroines. And I was very satisfied with the resolution on the Mab arc. P.S. I love Owen too. 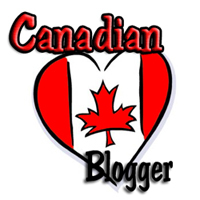 A Buckeye Girl Reads – It was so perfect! Shannon – Maybe it will be a little different now that we don’t need reminders as much. That’s a good point! This is definitely a series that everyone who loves UF talks about. I know I need to read it but I haven’t been able to even think about it. I’m glad that this book was different then the other 4 books even if it was still predictable! 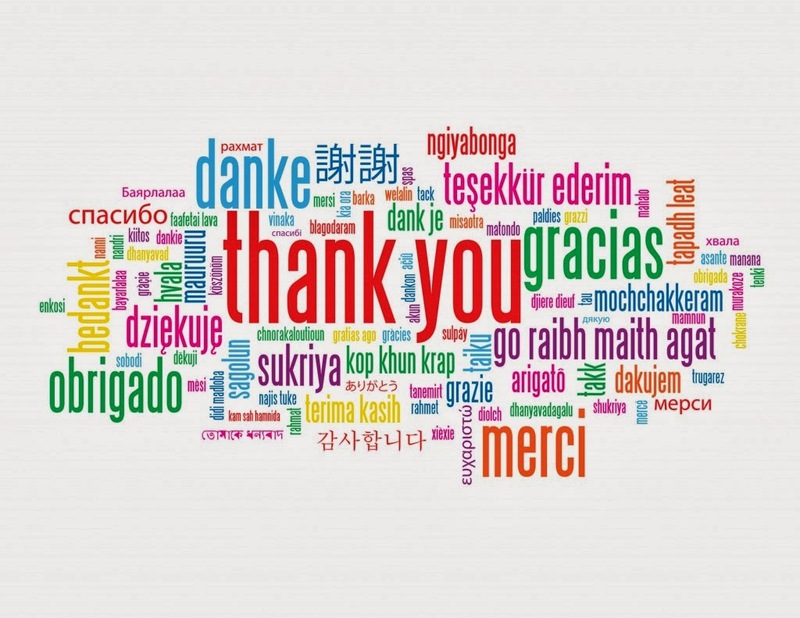 😀 I’m glad you’re still enjoying the series and I hope it continues like that for you!